“I Use Super White Flakes to make all my linens white like snow…!” states the smiling, well-groomed 1960’s housewife. Obviously fake, obviously acted, but highly effective, this style of advertising had been a foundation of the advertising and marketing industries until relatively recently. However, with the advent of social media, staged endorsements no longer work. Today, in our “online, always connected, talk to anyone, anywhere, anytime, anyhow” world, they have to be authentic and factual testimonials. Ready to make more sales? 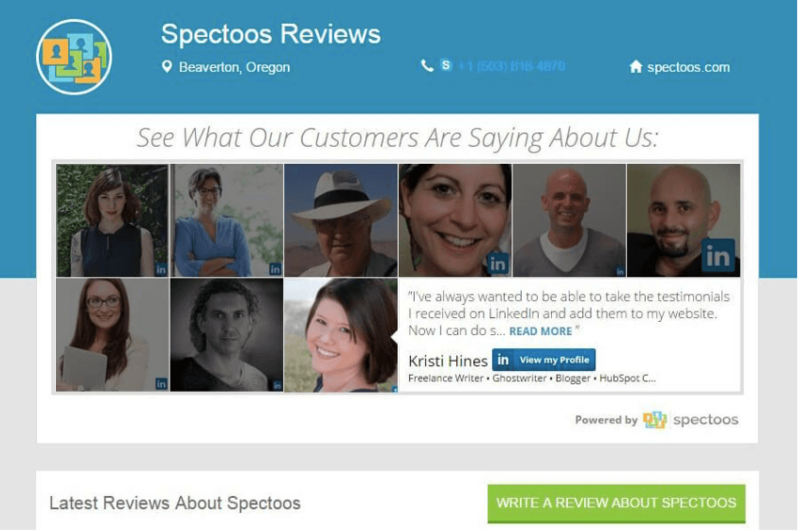 Start using testimonials to influence purchasing decisions by signing up for Spectoos, today. You’ve likely heard that saying about “Keeping up with the Jones’s.” This well-known adage describes the behavior of trying to mimic those we admire. However, we don’t necessarily have to know who the people are to want to do what they do. All we have to know is that they were satisfied with their experience. If these individuals can convince us that they’ve had a great time, it makes us imagine that we can have a good time, too. Case in point, implicit egotism is a term rooted in psychology that describes a human being’s tendency to want to gravitate toward people, places, and things that most closely resemble the self. In other words, by populating your website with testimonials by people who most closely resemble your Buyer Persona, you can influence your target market to buy from you. This is otherwise known as social proof and can be incredibly powerful at building more trust, authenticity, and customer loyalty. A study published in Psychological Science showed that, when given a choice between two similar products, most people will choose the one with the most online reviews. Furthermore, FanandFuel found that 97% of customers say that online reviews influence their buying decisions. These findings are powerful and serve to flag the absolute necessity of user reviews, customer testimonials, and consumer recommendations in your marketing strategy. 92% of customers will hesitate to hit the buy button if the product lacks reviews entirely. 73% said that written reviews make more of an impression than star and number ratings. 94% of consumers read written reviews. And finally, 35% of those surveyed claimed that a single negative review would help them decide not to buy. Want reviews displayed on your website? 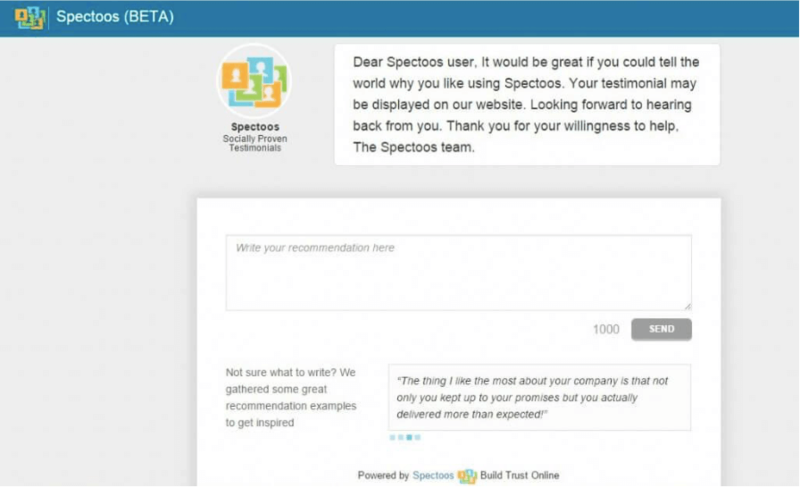 Start using testimonials to influence purchasing decisions by signing up for Spectoos, today. It’s clear that reputation management is something that cannot be ignored. Any negative reviews will directly affect customer acquisition and, in turn, company reputation and revenue. This type of recommendation will almost certainly get more students to the PrepAgent website. While mainstream review sites like Yelp and TripAdvisor are popular for customer reviews, consumers also give recommendations to people they know on a more personal basis. Using word-of-mouth or social media can be less formal and a preferred way to spread information and influence purchasing decisions. According to BrightLocal, which recently published the 2017 version of its Local Consumer Review Survey, 85% of consumers trust online reviews as much as a recommendation from a friend or family member, above all other forms of advertising. The study also found that positive reviews help 73% of consumers trust businesses more. This makes online reviews one of the most trusted sources of brand information and messaging. A new study published by Harvard Business Review suggests that it is continuously more important for customer service and marketing (which traditionally manages a company’s social media channels and website) to work hand-in-hand to respond quickly to online reviews and customer concerns. This should be the case whether the reviews originate on the company’s website or other platforms like Facebook and Twitter. 1. Having a Spectoos account allows you to create a custom testimonial request form that you can easily email or share with your customers. 2. 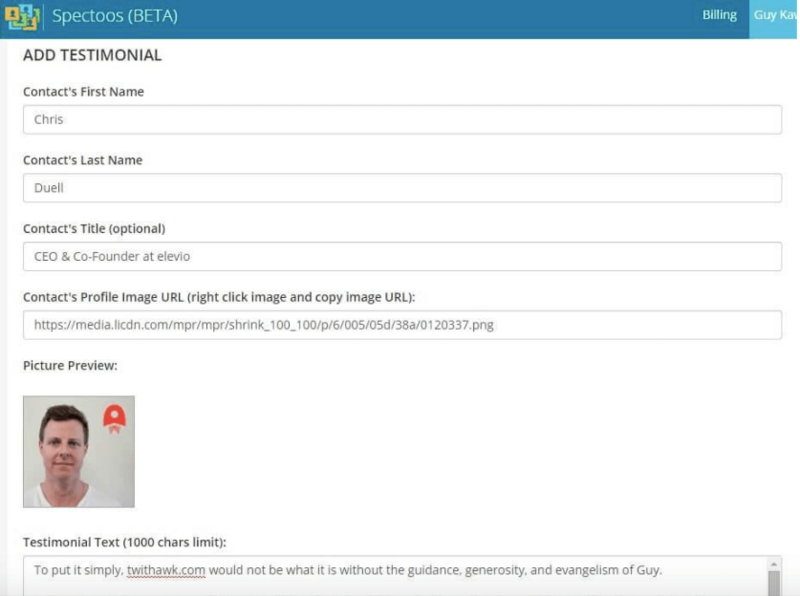 Spectoos also makes it easy for you to copy your existing testimonials from anywhere on the web, so they can be consolidated and displayed neatly and cleanly on your website. 3. Spectoos offers clients a public testimonial webpage with SEO benefits that lead to a higher ranking in Google whenever someone is looking for your company online. For more tips, check out our guidelines for what NOT to do when asking customers for testimonials.